As a librarian I'd imagine you'd expect that I read anything and everything. Actually, I'm not a massive reader. If I get stuck into a book I'll read it in a matter of days but I can go months and months without picking anything up, however the reading bug has currently taken hold so I thought I'd share my top 5 fave books! My top 5 is no particular order. If I could write a list of all my fave books you'd be reading for hours! 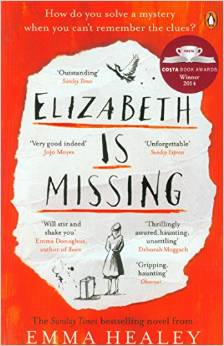 Elizabeth Is Missing by Emma Healey. This is Emma Healey's first book and she is an author to be looking out for. This book is amazing. It's about a lovely lady called Maud who suffers from Alzheimer's or senility (we never actually find out). She has trouble remembering things but knows her dearest friend Elizabeth is missing. It is utterly haunting and hard to read at times, as you see the disease through the eyes of Maud. You will laugh, you will cry and you will not be able to put it down. I've read this book so many times I've lost count. It's narrated in first person by Christopher a 15 year old boy who suffers with some sort of condition. Again like Elizabeth Is Missing you are never actually told. Christopher likes prime numbers, solving mysteries and dogs. 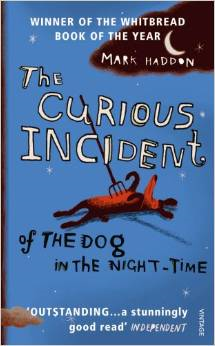 It's the murder of his neighbours poodle that leads him to write a book and try to solve the mystery of who killed it. It's another brilliant book with an amazing insight into someone else's life and the inner working on their world. I love the film and I love the book! Rebecca Bloomwood is a journalist from New York with a passion for fashion. Unfortunately working for a gardening magazine doesn't pay the kind of money she needs to fund her designer label lifestyle and when Rebecca blags her way into a job in Successful Savings an array of events unfold! It has hilarious highs and very sad lows but Rebecca learns a life lesson she will never forget. 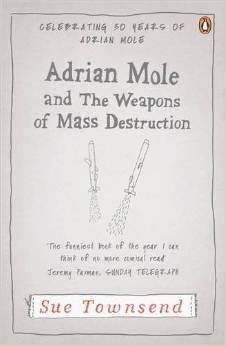 Adrian Mole and The Weapons of Mass Destruction by Sue Townsend. This was the book for me that got me into Sue Townsend and I went on to read just about everything else she has written! Adrian Mole is 34 and three quarters and has moved into a gorgeous new flat which the bank and credit card companies are unaware he couldn't afford...ever. He's engaged to the lovely but delicate Marigold but is obsessed with her sister and he's desperate for Tony Blair to answer his letters about there being weapons of mass destruction so he can get his £57 from the travel agent. Adrian's life is agonizingly funny and brutally honest. 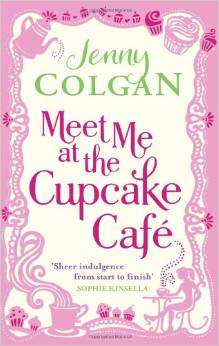 Meet Me At The Cupcake Café by Jenny Colgan. I adore Jenny Colgan, I collect her books and have read everything she has written! Issy Randal has always known her skills lie in baking so when she's made redundant she decides to open up her own café! She grew up above her Grandpa's bakery so has high hopes for her little shop. With some sharp staff, amazing characters and some gorgeous true to life moments it's definitely worth a read! Plus it even contains some gorgeous recipes! 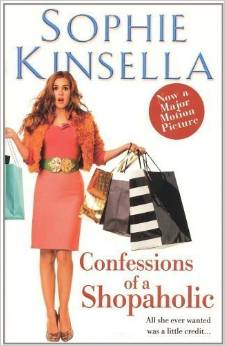 I have read pretty much all of Sophie Kinsella's books. She is my favourite author. These are some great books! I've read the Shopaholic series and have one by Jenny Column so your recommendations are definitely going on my wishlist!